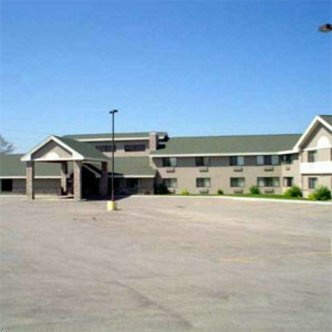 AmericInn of Caledonia is located in beautiful Historic Bluff County. Come tour the SE Minnesota back roads for a wonderful experience of rural America. Hiking, fishing, bird watching, bike trails, scenic byways. We are just 13 miles from the great Mississippi River Enjoy the great outdoors. Each AmericInn is built with solid masonary construction and the highest sound rating in the industry to allow our guests the experience of a quiet nights sleep.Our guests are accomodated with fine ammenities, in room coffeemaker, high speed wireless internet access, complimentary continental breakfast and the only frequent traveler program that pays you $40 USD after every 10 nights of lodging. Other amenities include an oversized pool area, comfortable - home like lobby and specialty rooms.